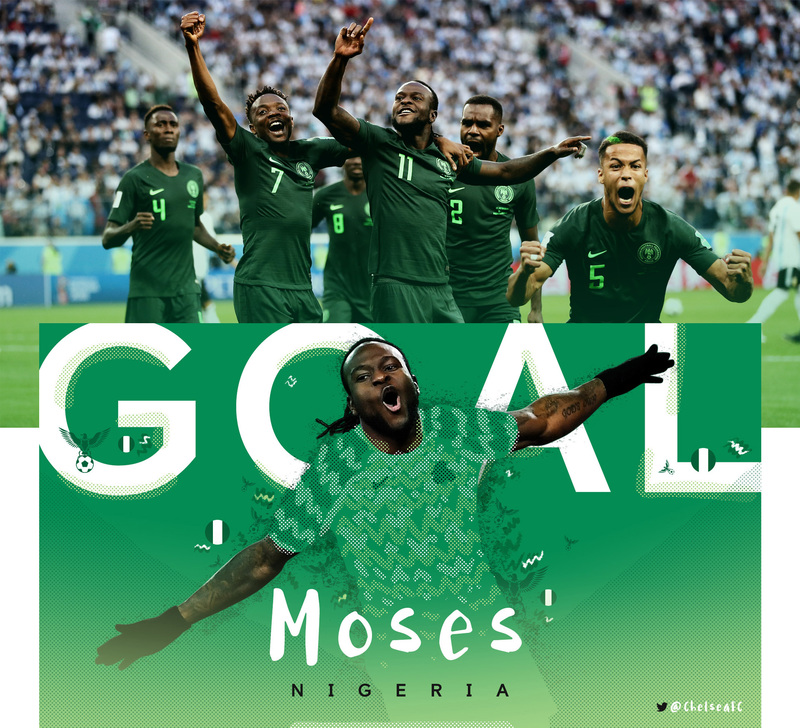 With 15 players across 10 teams at the 2018 World Cup, Chelsea Football Club looked to celebrate their achievements, while also providing game-by-game coverage for their passionate fans. We designed a powerfully engaging set of static and motion graphic creative content for use throughout the tournament, on all channels. 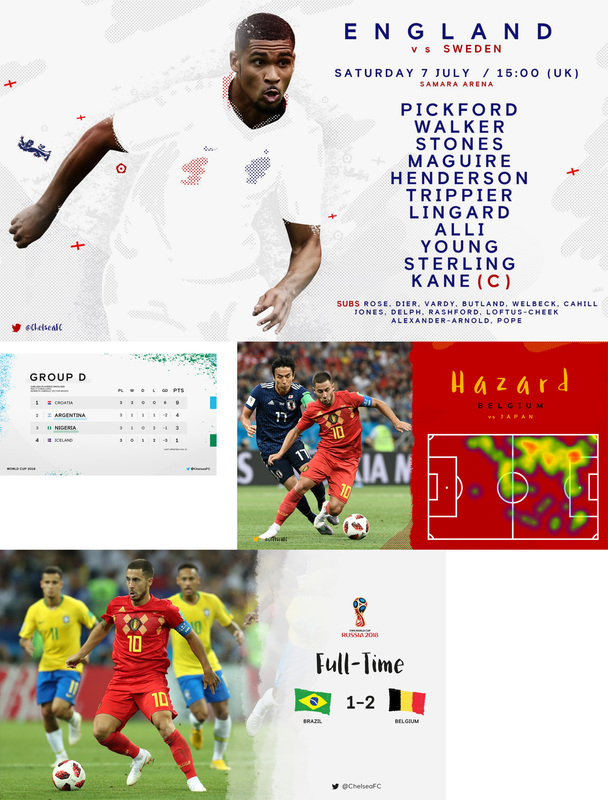 Supporting the Global Social Team in the lead-up to (and throughout) the World Cup, our designers created over 560 images — across 6 different templates, for 14 players, in 8 different languages — to ensure the team could react to any in-game scenario. 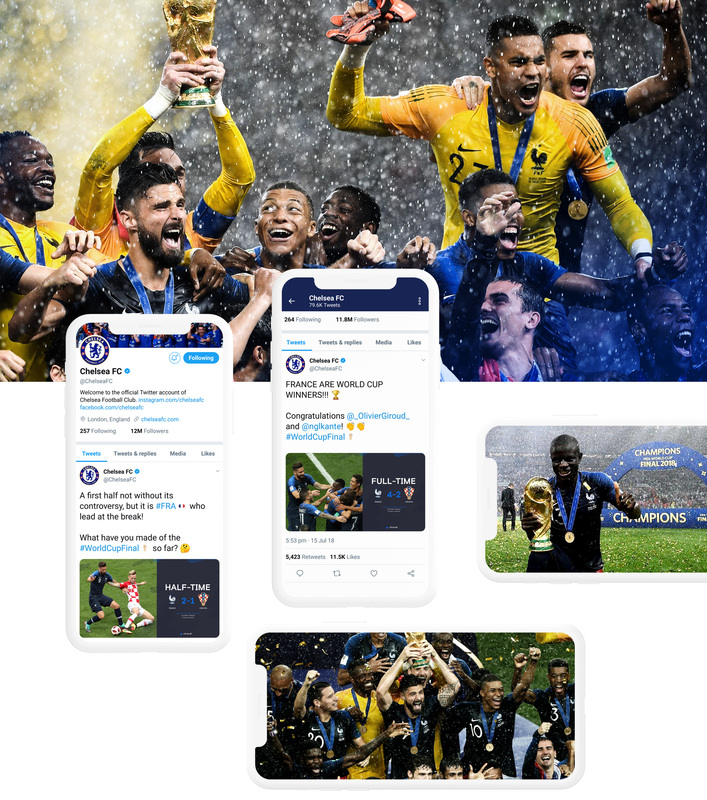 As each team progressed, or as each player was involved in a key moment, we created new and more celebratory images to ensure the image captured the moment and told the story of Chelsea FC at the World Cup. Wanting to support their players, but being unable to show the national kits (as well as not knowing squad numbers), we treated the images as graphic illustrations — turning a negative into a positive — creating visuals that were then highly recognisable and unique to Chelsea FC. Images and moments they could own! Through the groups stages and into the knockout rounds, the creative content helped Chelsea get some fantastic engagement globally. 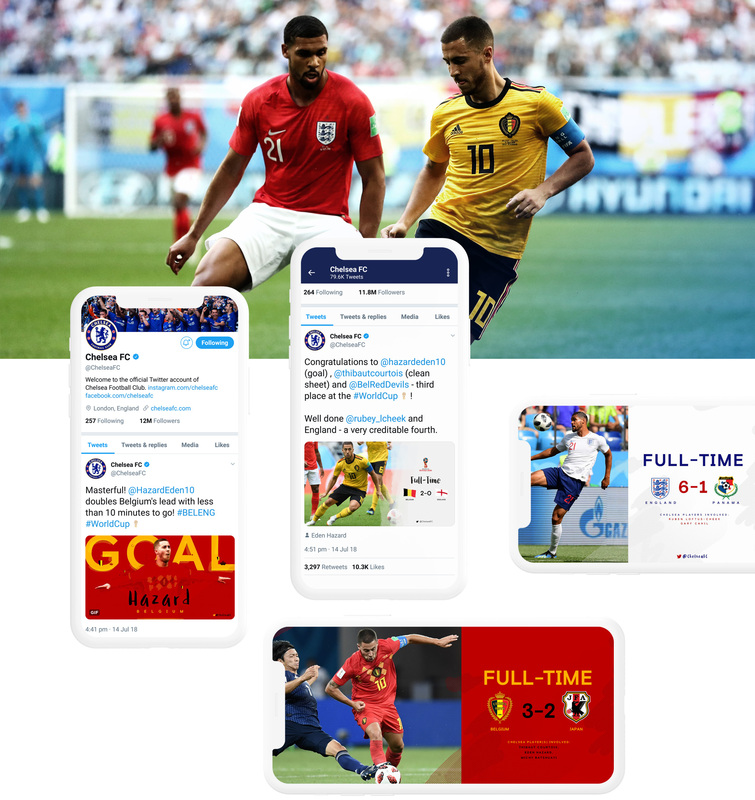 At a time in the season when levels naturally decrease, we were able to help the club retain very high levels of interaction and help drive conversation and support for the Chelsea players at the tournament.